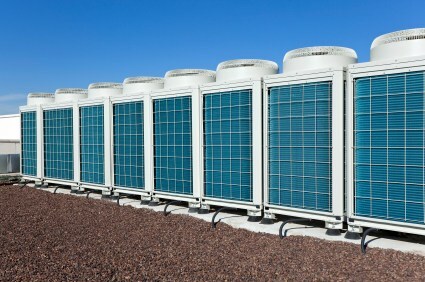 Looking for HVAC service for your Radley, Kansas business? Servicing countless clients across the region since 2009, Barone's Heat & Air, LLC is a recognized industry leader for commercial HVAC in Radley, Kansas. Our staff stands at the ready to handle all of your HVAC needs with care and professional attention. Trust our years of experience and thorough training to deliver the expert advice you need. Companies across the Radley region have worked with Barone's Heat & Air, LLC's commercial HVAC experts on design, replacements, repairs and maintenance of all HVAC systems and equipment. Our professional technicians employ the latest methods to service heating and cooling systems around Radley. You can also save money with Barone's Heat & Air, LLC on your side. Allow our experienced technician to assess your existing Radley commercial HVAC systems, auditing energy efficiency and equipment performance. Our HVAC upgrade plans include any necessary repairs and an affordable maintenance schedule that will provide your Radley organization with the service required for peak efficiency. Expect reliable, prompt service from the pros at Barone's Heat & Air, LLC. We offer immediate service for all of your commercial HVAC systems, including emergency services, after-hours calls, shutdowns and regular maintenance schedules. Committed to working with the needs of your business, Barone's Heat & Air, LLC remains one of the best HVAC contractors in Radley, Kansas for a reason. Your Radley company deserves professional attention, and the professionals at Barone's Heat & Air, LLC are ready to deliver. Providing knowledgeable advice and prompt service at affordable rates to clients across the region, call Barone's Heat & Air, LLC at (417) 232-0017 today to look after your commercial HVAC in Radley, Kansas. A- rating with Better Business Bureau! 5★★★★★ - "Barone’s has installed a Rheem water heater for me. Hose and parts were all high end. His installation made the original installer’s work look sub-standard. Barone’s also did my Goodman a/c unit and evaporator unit. Excellent prices and workmanship. Even hauled off the old parts!" 5★★★★★ - "Professional, reliable quality work. Brad and his staff are top of the line!" 5★★★★★ - "I had a totally new system installed, along with airduct cleaning and they removed old gas pipe. Brad and his crew were prompt, professional, helpful and knowledgeable, and did an excellent job within just a few hours. I will call him again." 5★★★★★ - "Barone's Heat & Air is the best HANDS DOWN!!! I have been using Barone's Heat & Air for about 5 years now & they are the best most professional contractor I have ever hired. When I say they know there stuff I mean they know above & beyond heating & cooling. Dont waste your time callling the other Big name over priced guys I did that before I Called Barone's & oh they fell through my ceiling, Ruined my carpet ohh & didnt fix the problem. This is why I am so pleased & have been Since the First time I met Brad over 5 years ago. I just cant say enough good things about the company. Thank You Brad for being such an honest, Sweet understanding person. Keep up the good Work!" 5★★★★★ - "I am a Realtor in Joplin, MO I have used Barone's Heat & Air now for the past 3 years & never fails they do an AWESOME job on every single project I have sent them on including my own home & rental properties. They always meet the time line & closing dates. Brad is such an Excellent man very honest & helpful he truly goes out of his way to make sure things are done right. I give Barone's 5 stars." "Bruce & Keith were very professional & quick to find the problem with my Air Conditioner they had me up & going in no time. Great company very fair on prices. Would highly recommend." 5★★★★★ - "Barone's Heat & Air is top notch!!! I wont do business with any one else. Brad & his crew are stand up guys that go above & beyond expectations. Very friendly & they know way more about Heating & Cooling then the 4 other companies I had bid my project. Thanks Brad I am very pleased." 5 ★★★★★ - "Called my regular heat and air repairman and after 3-4 hrs no call back. I was searching the Internet for my brand of furnace. Barone's came up and I checked out there website. I was apprehensive until I spoke to Brad. Very professional, and I made an appointment. His crew came out and they looked like hard working people just trying to make a living. They were very, very, knowledgeable about my a/c. I had already researched the unit on the unit. They never tried to upsell me. After they took it apart to repair it, I decided to just replace the A/C unit. Took them about 4hrs to replace, remove, and recharge the new unit. I trust them a lot now. I would refer them to friends and family. I will use them again for any problems in the future! Thanks Brad and crew!" 5★★★★★ - "Amazing service!!! =) Thank you! Thank you! Thank you!" 5★★★★★ - "Thanks For fixing our A/C on such short notice. Your guys were very professional and courteous." 5★★★★★ - "“Bruce and his brother were really great, answered all my questions about the system, and were very friendly in general." 5★★★★★ - "Great service, Very prompt & reasonable I will tell all my friends & family about this awesome local company." 5★★★★★ - "Barone's Heat & Air is by far the best HVAC company I have ever delt with. They are very good about explaining the whole process down to every detail & they finished product was amazing our system has never ran this good. Thank you Brad"
5★★★★★ - "Thank you for you service." "Amazing service!! Brad is not only great at what he does he is easy on the eyes & reasonably priced." "Barone's Heat & Air are the best of the best!! Came out on a Sunday fixed our heater when it was 20 degrees out. He was here 15 min from when we called him. Showed us the parts that failed & the new parts he put on. Thank You Brad your the best." 5★★★★★ - "A+++++ service very friendly went above & beyong to get pur heater replaced. We are customers for life." 5★★★★★ - "Very professional & knowledgeable, wonderful service. Brad was so fast at getting our heater up and running will be doing business with them again in the future." "These guys know there stuff. Prices are very responsible and couldn't ask for better service. Thank you Brad & Bruce true professionals." "Wait Time, Quality, Customer Service Just good people!!! :-) :-) :-)"
"Fixed us up good as new! Great service, as always! Thank you." 5★★★★★ - "He is the bomb!" 5★★★★★ - "Def a legitimate business. Serviced our multi zoned heat pump two summers ago. Brad came out repaired the problem and the charge was very reasonable." 5★★★★★ - "Barone's Heat and Air is bad to the Barone. Timely, honest and dependable." 5★★★★★ - "Brad and his crew are honest, dependable, and knowledgeable HVAC technicians. He was at our house the next day and had us up and running in no time. I highly recommend giving Brad a call for all your HVAC needs." 5★★★★★ - "This guy is good, not the best looking guy in the world but that is easily overlooked by his professionalism and knowledge of HVAC! If your eyes can tolerate his Squeamish face the work of his hands will not let ya down!"